Hello people of the internet!!! On today’s ‘YouTube Wednesday’ we’re going to talk about an awesome new YouTuber that y’all need to check out. If you haven’t heard of Olivia Rouyre then you are missing out on a funny, cool, and very knowledgeable YouTuber that will instantly enchant you with her bubbly personality. On her channel you’ll find a wide variety of beauty/fashion/and lifestyle videos that you will replay over and over all winter long. So if you’re ready to meet you’re fav new YouTuber then keep reading. Ready? Ok, let’s go! 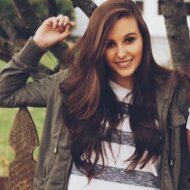 The first video that we’re going to talk about is Olivia’s ‘Whisper Challenge’ video, which was uploaded on January 18th, 2015 (you check out this video below). Now we know that we all still love The Whisper Challenge because it’s just so funny. Olivia’s sister Sixtine is also featured in this video, and together they make this video unbelievably funny. Even if you think that you’re tired of watching Whisper Challenge videos, you should check this video out because it will make you fall in love with this challenge all over again. Next up we have Olivia’s ‘My OTP + Losing a Toe + How I Started Modeling #ASKLIV’ video, which was uploaded on August 12th, 2015. This is a really interesting video that will help you not only learn about Olivia, but also learn how she became a model (who knows maybe you can use this video to launch your own career). I think that as YouTube viewers we love Q&A videos because they make us feel closer to our fav YouTuber stars and helps us see them as regular people, not just internet stars. Next up we have Olivia’s ‘What’s On My IPhone 6s + How I Edit My Instagram Photos’ video, which was uploaded on November 7th, 2015 (you can check this video out below). If you have or are thinking of getting an IPhone, this is a great video to check out so you can discover new apps to fall in love with. Also, if you want to increases your Instagram likes then you can use the photo editing tips & tricks that Olivia mentions in this video (if you see her Instagram then you’ll know that she’s a pro at this!). The final video that we’re going to discuss is Olivia’s ‘What I Got For Christmas 2015’ video, which was uploaded on December 27th, 2015. If you’re looking to spend those Christmas gift cards or if you want to treat yourself to a late Christmas present then this video is a MUST SEE. In this video Olivia discusses a wide range of products so there’s guaranteed to be something (or many things that you’ll want to check out. All photos and information used in this blog belong to YouTube, Twitter, Instagram, Olivia Rouyre, Sixtine Rouyre, and all companies, individuals, corporations, managers, writers, producers, and/or businesses that should receive credit for anything mentioned in this blog post or the videos mentioned and/or featured in this post, and all original owners. I do not own anything in this blog. If any people, corporations, businesses, companies, etc, were not previously given credit for their work, they are given credit now and their previous absence was unintentional. All opinions expressed in this blog are my own. I wrote this blog for entertainment purposes and no copyright infringement is intended. celindareyesblog January 7, 2016 No Comments on YouTube Wednesday: Olivia Rouyre…the fashion/beauty guru that will help you kick off 2016 with style. Category: YouTube Wednesday. Tagged: 2015, 2016, amazing, autumn, awesome, beauty, clothes, cool, fall, fashion, guru, hair, haul, instagram, lifestyle, makeup, model, new, Olivia Rouyre, Sixtine Rouyre, spring, star, style, summer, tutorial, twitter, winter, youtube. Hello people of the internet!!! On today’s ‘YouTube Wednesday’ we are going to do something a little different. I thought that since it’s almost Halloween (Yay!!!! ), we could talk about 3 amazing makeup tutorial videos that will help you add that special finishing touch to your costume this year. These videos vary in difficulty, but I would definitely give the looks a test run before Halloween (also make sure that you’re not allergic or have any sensitivity to any of the makeup/wax/etc. that the looks may need). I tried to rate these depending on how difficult the look is to replicate (even though the last two are about equal in terms of difficulty). Now let’s get to the looks. Ready? Ok, let’s go!!! 3) ‘CLAW WOUND SFX Makeup Tutorial’ by Kait Nichole, which was uploaded on October 12th, 2015. I thought that this would be a good video to kick things off with because it’s a cool way to really make any costume stand out. This look is very detailed so you will have to take your time with this one if you want it to look amazing however, it might be easier to do than the other two looks because it’s on the arm and not the face. In this video Kait does an INCREDIBLE job of explaining exactly how to replicate this wound, so I would definitely give it a try. 2) ‘Reptile Ringmaster Circus Freak Halloween Makeup Tutorial’ by Jordan Hanz, which was uploaded on October 12th, 2015 (I didn’t notice until after I chose the videos that this video and the claw wound video were uploaded on the same day. That’s kind of cool right?). As soon as I saw this look I just completely fell in love with how awesome it is. Now this look is also very detailed so again you have to have patience, but the payoff for the work looks to incredible for words. If you want a unique look that will definitely be Instagram worthy then this is a look to consider. Jordan does a really great job of explaining every step, so even though this may look a little intimidating, just follow her instructions and you’ll look AMAZING. 1) ‘Trippy Double Vision Makeup Look’ by dope2111, which was uploaded on September 17th, 2015. Like I said before, it was EXTREMELY hard to pick a winner for the #1 and #2 spots, but because this is a REALLY different sort of Halloween look, it won. I know that A LOT of you have probably already seen this video, but if you really want a look that will freak out your friends then this is the way to go. This is another look that takes patience to replicate because you want it to look as real as possible. The process is explained so well in this video, so I would definitely give this tutorial a shot. This is a really good look to show off your creativity, because you can build a scary or cute look around it, but still get the creepy factor in either way. All credit goes to YouTube, Jordan Hanz, Kait Nichole, dope2111, all of the businesses, companies, people, stores, and any other original owners involved and/or mentioned in any of these videos, any and all companies, individuals, and/or businesses that should receive credit for anything mentioned in this blog post, and all original owners. I do not own anything in this blog. If any people, corporations, businesses, companies, etc, were not previously given credit for their work, they are given credit now and their previous absence was unintentional. All opinions expressed in this blog are my own. I wrote this blog for entertainment purposes and no copyright infringement is intended. celindareyesblog October 15, 2015 1 Comment on YouTube Wednesday: 3 videos that will help you freak everyone out this Halloween. Category: YouTube Wednesday. Tagged: 2015, amazing, circus, claw, creepy, cute, dope2111, fall, halloween, incredible, Jordan Hanz, Kait Nichole, look, makeup, monster, october, pretty, reptile ringmaster, scary, trippy double vision, tutorial, videos, wound, youtube, youtuber, zombie. Hello people of the internet!!! On today’s ‘YouTube Wednesday’ we are going to talk about an AMAZING YouTuber that you need to be subscribed to right now! We all love YouTube for various reasons. Maybe you like cool brauty or fashion gurus who know all about the latest styles and trends. Maybe you like checking our lifestyle channels where you can get a mix of everything. Well Victoria aka Inthefrow (which stands for In the front row), has you covered in all three areas. She started off as a beauty, fashion, lifestyle blogger, but has quickly risen to YouTube stardom. So now let’s discuss why you’re about to become so addicted to this channel. Ready? Ok, let’s go!!! The first video that we’re going to talk about is Inthefrow’s ‘Get Ready With Me Every Day Makeup’ video which was uploaded on October 28th, 2013. This is a really good introduction to Victoria’s channel, because you get a great sense of her personality and style. In this video Victoria goes through the routine in an easy step by step process so we can all easily create her look. You gotta love a YouTube who proves that they know their craft. The next video that we’re going to talk about is Victoria’s ‘How to: Pink Hair and Hair Extensions’ video, which was uploaded on March 23rd, 2014 (you can check out the video below). This is a really cool video that is perfect for anyone who wants to switch up their hair color. If you’ve ever wanted to try pink hair, or hair extensions (because you learn about those in this video too) then you gotta check this out. This is a really unique video that shows that Victoria is a not only a knowledgeable YouTuber, but that her channel is the place to go for interesting videos. The next video that we’re going to talk about is Victoria’s ‘Tiger Halloween Makeup Tutorial’, which was uploaded on October 28th, 2014 (you can check out the video below). Let me start off by saying that this is one of the coolest makeup videos that you’ll ever see! In this video, Victoria gives us a step by step tutorial so you can perfectly recreate this amazing tiger look. There are a lot of steps involved so I would practice this before Halloween so you can impress your friends (and everyone on Instagram) with how awesome you look. The final video that we’re going to talk about is Victoria’s ‘Smart Workwear Lookbook ad’ video, which was uploaded on September 16th, 2015. This video really shows how far Victoria’s channel has grown, and how her style has perfected over the years. If you want to look cute at work then you really need to check this video out. No matter what you personal style is, you will find a look that is stylish and work approved (see become an adult doesn’t mean your clothes hasve to be boring). All credit goes to YouTube, Instagram, Twitter, Facebook, Pinterest, inthefrow.com, Victoria, all of the businesses, companies, people, and any other original owners involved and/or mentioned in any of these videos and/or hauls, any and all companies, individuals, and/or businesses that should receive credit for anything mentioned in this blog post, and all original owners. I do not own anything in this blog. If any people, corporations, businesses, companies, etc, were not previously given credit for their work, they are given credit now and their previous absence was unintentional. All opinions expressed in this blog are my own. I wrote this blog for entertainment purposes and no copyright infringement is intended. 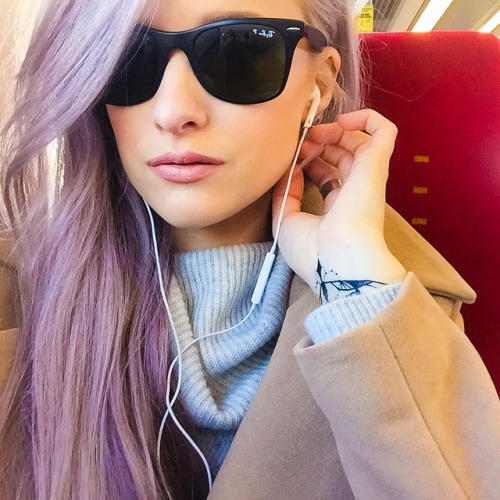 celindareyesblog September 23, 2015 No Comments on YouTube Wednesday: Inthefrow…the YouTube channel that is your front row seat to everything new in fashion. Category: YouTube Wednesday. Tagged: beauty, blogger, clothes, facebook, fall, fashion, guru, halloween, haul, instagram, inthefrow.com, lifetstyle, makeup, new, pinterest, spring, style, summer, tiger, tutorial, twitter, Victoria, winter, youtube, youtuber. Hello people of the internet!!! On today’s ‘YouTube Wednesday’ we are going to talk about an amazing rising YouTube beauty/fashion/lifestyle star that y’all need to be subscribed to. If you haven’t heard of Lindsay Marie (aka lindsaylovesbeauty) then you are seriously behind on what new channels you should be obsessed with. Don’t worry I got you covered! So please read on to see why all of your friends will be subscribing to this awesome channel. Ready? Ok, let’s go!!! The first video that we’re going to discuss is Lindsay’s ‘Bethany Mota Lookbook!’ video, which was uploaded on December 8th, 2013 you can check out the video below). I thought that this video was a great introduction to Lindsay’s channel, because we not only get to see Lindsay’s personality and natural on-camera charisma shine through, but we also get a sense of what her personal style is. It’s also really cool to see gurus showing love to other gurus, it’s one of the things that makes YouTube so great. One thing is for sure, you will definitely want to take fashion notes from Lindsay after seeing this video! The next video that we’re going to talk about is Lindsay’s ‘Morning Routine | First Day of School!’ video, which was uploaded on August 6th, 2014. What I think we all love about “routine” videos is that we get to know our fav YouTubers even better (and sometime we get cool ideas about décor, new foods to try, new Netflix shows to obsess over, etc.). If you want to check out a fun video that will help you unwind and maybe get some suggestions to add to your own school morning routine, then definitely check this video out. Next up we have Lindsay’s ‘High School You Vs College You’ video, which was uploaded on July 19th, 2015 (you can check out the video below). I LOVED this video, because it is so funny, and very true. I know that everyone says “you change when you go to college”, “college is different than high school”, blah, blah, blah (and this is very true), but this video definitely does an AMAZING job of explaining some of the differences. I would definitely suggest you check out this video, because it will have you laughing and replaying the video again and again. The final video that we’re going to talk about is Lindsay’s ‘Back To School Clothing Haul 2015’, which was uploaded on July 30th, 2015. You knew that we couldn’t end this blog post without mentioning a haul. With Back To School season upon us, this is a video that can really be essentially when you’re trying to figure out what you want to buy for this school year. Hauls also help you discover new items, stores, and websites so you can find the best stuff to reflect who you want to be this school year. Once again, in this video we get to see Lindsay’s great on-camera presence, as well as her amazing sense of fashion. This is definitely a great video to check out before you finish your back to school shopping. All credit goes to YouTube, Instagram, Lindsay Marie, lindsaylovesbeauty, Bethany Mota, macbarbie07, all of the businesses, companies, people, and any other original owners involved and/or mentioned in any of these videos and/or hauls, any and all companies, individuals, and/or businesses that should receive credit for anything mentioned in this blog post, and all original owners. I do not own anything in this blog. If any people, corporations, businesses, companies, etc, were not previously given credit for their work, they are given credit now and their previous absence was unintentional. All opinions expressed in this blog are my own. I wrote this blog for entertainment purposes and no copyright infringement is intended. celindareyesblog August 19, 2015 No Comments on YouTube Wednesday: Lindsay Marie…your new favorite beauty/fashion/lifestyle guru. Category: YouTube Wednesday. Tagged: 2015, 2016, amazing, back to school, beauty, bethany mota, blog, clothes, fall, fashion, fitness, food, fun, hair, haul, health, instagram, Lindsay Marie, lindsaylovesbeauty, macbarbie07, makeup, morning, new, post, routine, shop, spring, summer, tutorial, winter, workout, youtube, youtuber. Hello people of the Internet!!! On today’s ‘YouTube Wednesday’ we are going to talk about your soon to be newest YouTube obsession, SouthernBelle606 (aka Meredith), a 17 year old beauty/fashion guru from Alabama. Her fun, outgoing personality will make you completely addicted to her videos, and you can always count on her to have the best fashion/beauty tips & tricks. So if you’re ready to learn about another YouTuber that you will spend all your free time watching, let’s jump into the blog post! The first video that we’re going to talk about is Meredith’s ‘Get Ready with Me: A Day of Summer Vacation + My First Video’, which was uploaded on June 13th, 2013. I thought that this was such a fun video to talk about because it really shows just how much Meredith has grown as an entertainer. In this first video Meredith is a little shy, but we still get glimpses of the fun personality that keeps her viewers coming back. This video also shows that Meredith is very knowledgeable about beauty & fashion, which also makes you want to continue to watch her future videos. The next video that we’re going to watch is Meredith’s ‘Transitions Your Outfits: Winter to spring’ video, which was uploaded on March 8th, 2014 (you can check out the video below). This is a really awesome video to check out because even though we are in spring, it can still get a little chilly in some areas. There were so many cute outfit ideas in this video that can work for school or hanging out with friends/family. The next video we’re going to talk about is Meredith’s ‘My Everyday 5-Minute Curls’ video, which was uploaded on January 9th, 2015. I just HAD to share this video with y’all because her curling method is so cool and easy to replicate. For those of us who are lazy (me! ), and/or like to get that extra few minutes of sleep (also me! ), this video shows you how to get cute curls quickly. Definitely a method you will want to add in your morning routine! The final video that we’re going to talk about is Meredith’s ‘Huge Spring Haul: BeautyCon, Lilly, F21, and More!’ video, which was uploaded on March 23rd, 2015 (you can check out this video below). Y’all know that we all love haul videos because you get the thrill of shopping for cute stuff without actually having to spend money (so everybody wins!). Once you watch this video you’ll fall even more in love with Meredith’s AMAZING style. 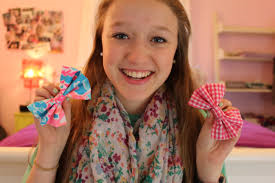 Also, her bubbly, relatable personality will keep you anxiously waiting for her next video. All credit goes to YouTube, Twitter, Tumblr, Instagram, SouthernBelle606, Meredith (the girl who created the SouthernBelle606 channel), all companies, individuals, corporations, and/or businesses that should receive credit for anything mentioned in this blog post and/or are mentioned in any of the videos mentioned in this blog post, and all original owners. I do not own anything in this blog. If any people, corporations, businesses, companies, etc, were not previously given credit for their work, they are given credit now and their previous absence was unintentional. All opinions expressed in this blog are my own. I wrote this blog for entertainment purposes and no copyright infringement is intended. celindareyesblog March 26, 2015 No Comments on YouTube Wednesday: SouthernBelle606…the channel that’s all about beauty, fashion, and fun. Category: YouTube Wednesday. Tagged: amaizng, awesome, beauty, beautycon, clothes, fall, fashion, fun, hair, haul favorites, instagram, internet, look, makeup, Meredith, new, rising star, shopping, SouthernBelle606, spring, style, summer, tumblr, tutorial, twitter, winter, youtube, youtuber. YouTube Wednesday: thebeautyguru4u…the rising YouTube star whose name says it all!!! Home | YouTube Wednesday | YouTube Wednesday: thebeautyguru4u…the rising YouTube star whose name says it all!!! Hello people of the internet!!! On today’s ‘YouTube Wednesday’ we are going to discuss an AMAZING new beauty guru who is quickly winning over the internet with her humor, knowledge, and natural charisma. If you haven’t heard of Emma, aka thebeautyguru4u then you NEED to read this post immediately! Now I know that if you go on YouTube you will notice that there are A LOT of incredible beauty gurus that you could spend you homework…I mean “free” time watching. So what makes Emma so different from the rest? Glad you asked! What I really enjoy about Emma’s channel, is the she’s very honest, she’s funny, and she honestly makes you feel like you’re talking to a friend. She is also very open with her viewers and because of this you really feel like you get to know her ona personal level. So if you want to find out why Emma really is the beautyguru4u, then please read on, and remember to subscribe to Emma’s channel. Ready? Let’s get started. The first video we’re going to discuss is Emma’s ‘What’s in my Backpack!’ video, which was uploaded on December 8th, 2012. I thought that this was a really cool first video because it was different than most beauty/fashion gurus post, and you were still able to get a sense of what Emma’s channel would eventually become. In this video Emma seems very at ease in front of a camera, which makes her fun to watch and causes viewers to instantly want to learn more about her and her channel. I thought that this was a very good way to start off Emma’s channel, and makes you excited to see what’s to come. The next video we’re going to discuss is Emma’s ‘Hair Care Routine & Tips for Long and Healthy Hair’, which was uploaded on August 6th, 2013. I decided to talk to y’all about this video because a lot of people have a difficult time keeping their hair healthy in the fall/winter time. I really like this video because it’s detailed, and talks about how to wash your hair, how to properly blow dry it, what foods you should eat to promote hair growth, and other fun tips and tricks to help your hair grow longer and become stronger. Next up we have Emma’s ‘New Years Eve Makeup’ video, which was uploaded on December 31st, 2013. I thought that y’all would really love this one because before we know it New Years Eve will be here and you’re gonna want to look GOOD (whether you actually have somewhere to go, or you have a date with your TV). I found this look to be really cute and gave off a dressy vibe, without making you look overly done. I definitely think that you would stand out with this look, and (bonus points time!) it’s not that difficult to recreate. Lastly we have Emma’s ‘HUGE Fall Haul 2014! Bath & Body Works, Tobi, Forever 21’ video, which was uploaded on October 22nd, 2014. Personally I love halls (I mean really, who doesn’t!?! ), because you get all the fun parts of shopping, without having to spend money (everybody wins!). Anyways, what I really loved about this haul, is that you could fully see how much Emma has grown as a vlogger. Also, I love it when beauty gurus shop at places that all of their viewers have access too, because it’s easier to get style inspiration that way. After watching this video, you’re left to grow excited about how much more Emma’s channel will grow, and the AMAZING videos that she will release (be excited people of the internet….be very excited!). All photos and information used in this blog belong to Emma, thebeautyguru4u, YouTube, Instagram, Twitter, Tumblr, all the people, corporations, businesses, and/or companies mentioned in any of the videos used in this blog post. All the people, corporations, businesses, and/or companies mentioned in this blog post, and all other original owners. I do not own anything in this blog. If any were not previously given credit for their work, they are given credit w and their previous absence was unintentional. All opinions expressed in this blog are my own. I wrote this blog for entertainment purposes and no copyright infringement is intended. 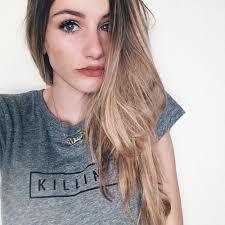 celindareyesblog November 20, 2014 No Comments on YouTube Wednesday: thebeautyguru4u…the rising YouTube star whose name says it all!!!. Category: YouTube Wednesday. Tagged: advice, beauty, DIY, Emma, fall, fashion, guru, haul, instagram, spring, summer, thebeautyguru4u, tumblr, tutorial, twitter, winter, youtube.